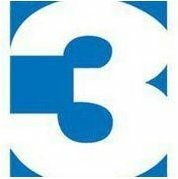 News TV Channel / WREG-TV, virtual channel 3 (UHF digital channel 28), is a CBS-affiliated television station licensed to Memphis, Tennessee, United States. The station is owned by the Tribune Broadcasting subsidiary of the Tribune Media Company. WREG maintains studios located at Channel 3 Drive (off of I-55) near the Mississippi River on the west side of Memphis, and its transmitter is located between I-40 and Whitten Road, approximately 5 miles (8 km) southeast of Bartlett.